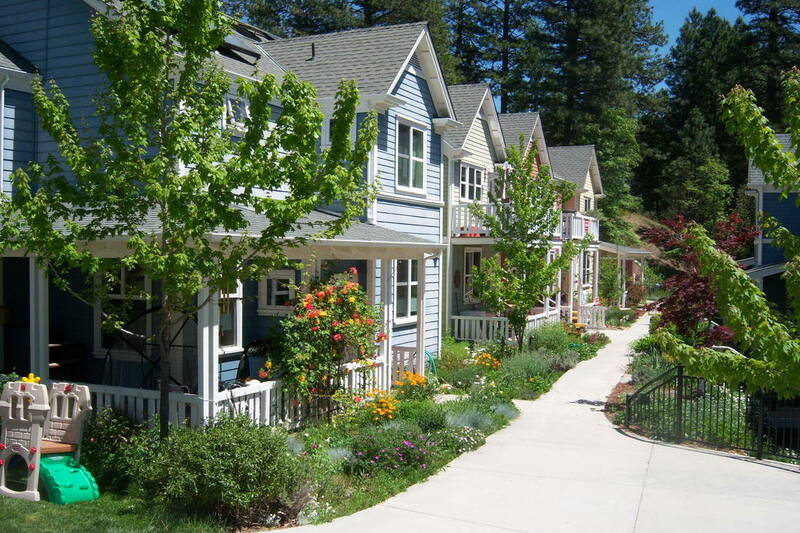 Cohousing provides a unique opportunity - to be our own developers and to prioritize what community features are most important to include in our future neighborhood. 32 Private Homes with two, three and four bedroom options available. Plus Accessory Dwelling Units & Junior ADUs available. Home prices from $550,000 - $950,000 (subject to change based on current market and building conditions). This price includes generous common amenities and shared spaces. 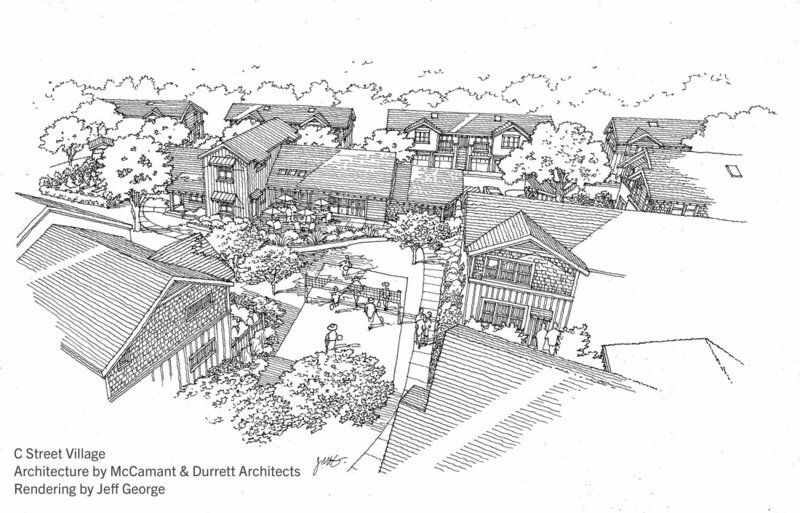 We've gone through a series of Design Workshops led by architect Chuck Durrett of McCamant & Durrett Architects to ensure that these plans are optimally tailored to our needs as a community! 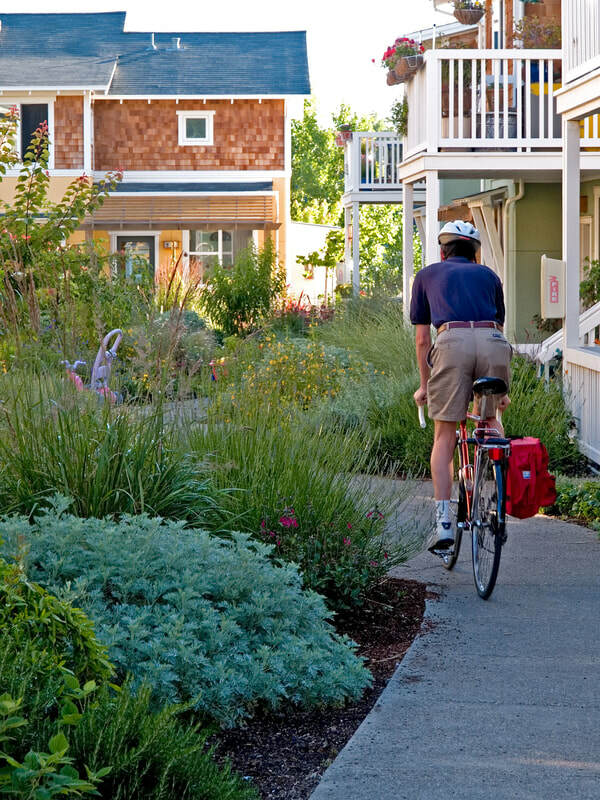 Our cohousing neighborhood features six rows of privately owned condos and/or townhouses. Each row will face each other across a common green. Outside features will include pathways between homes with ample green space, garden areas, bike sheds, and a children's playground. 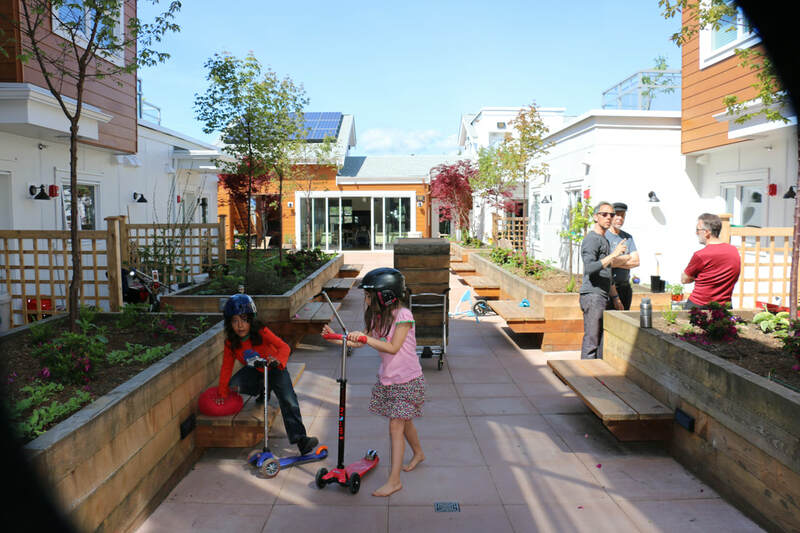 The grounds and parking lot are common space as well, and the entire site is designed and oriented in such a way where spontaneous interactions are encouraged. Site Layout by McCamant & Durrett Architects. Landscape plan by McProud & Associates. 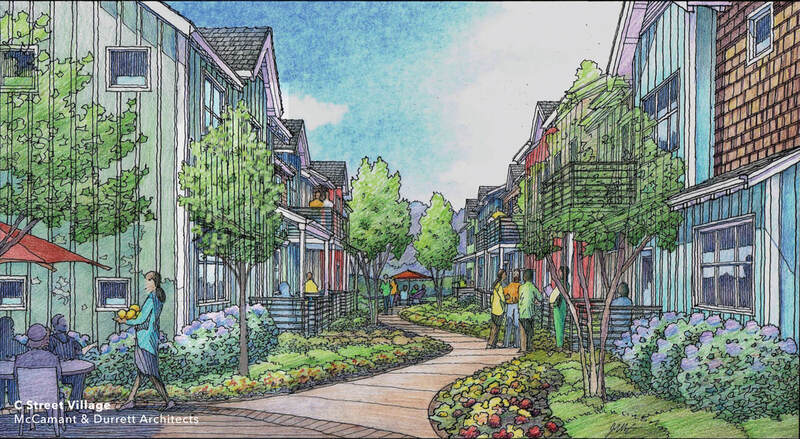 Rendering of C Street Village Common House. 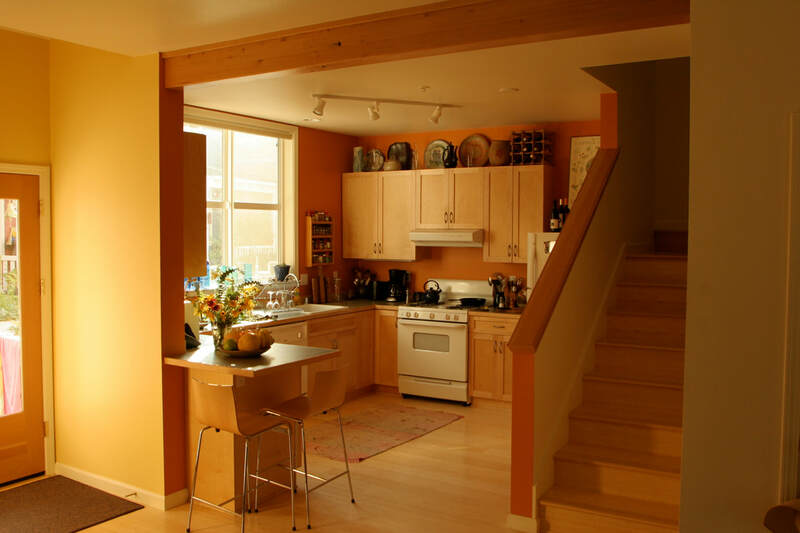 Architecture by McCamant & Durrett Architects. 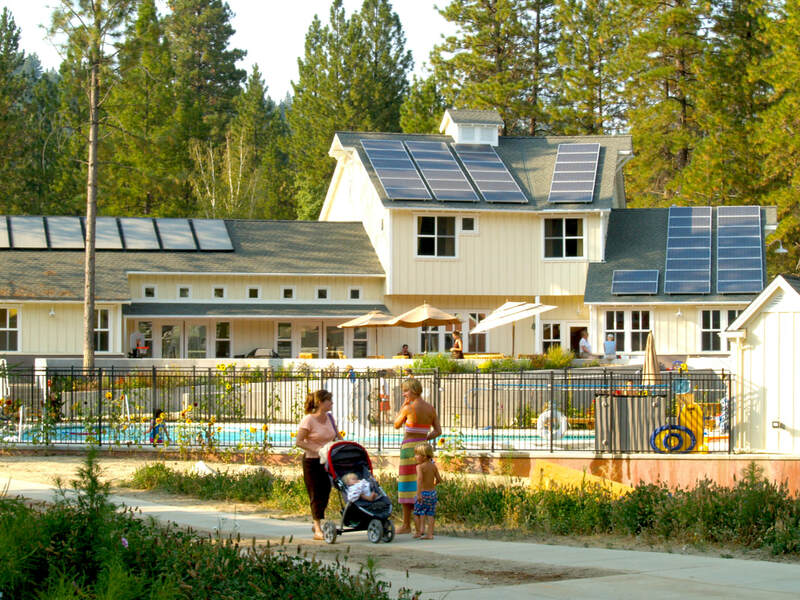 ​In cohousing, one receives the benefits of living a connected life, while maintaining a private sanctuary in your own home. The private homes in C Street Village will have open floor plans and are designed to be filled with natural light, quality sustainable materials, advanced sound-proofing techniques, passive cooling and heating, front porches, and more. 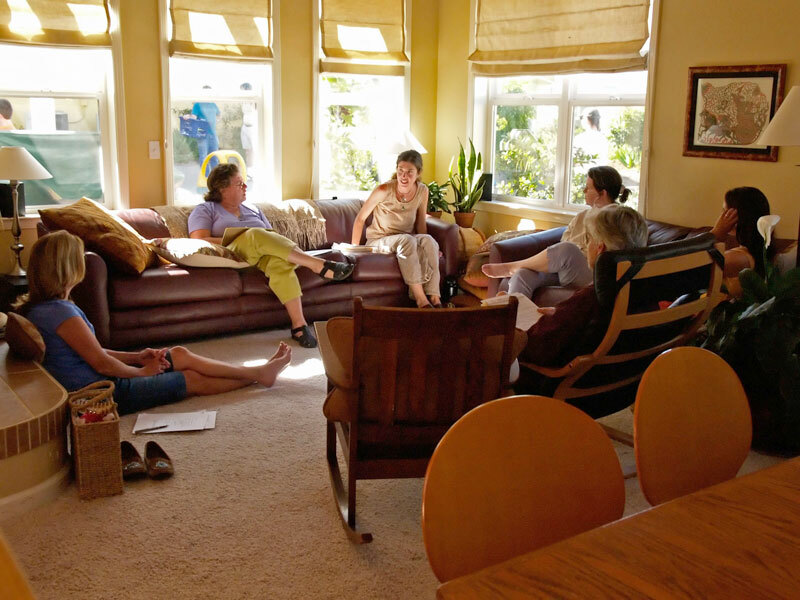 The workshops led to the formulation of six unit types with a combination of flats, townhouses, and ADUs (Accessory Dwelling Units) as well as JADU's (Junior Accessory Dwelling Units) options in some of the units to increase inclusiveness, diversity and affordability within the community. Intrigued by these plans for our community?